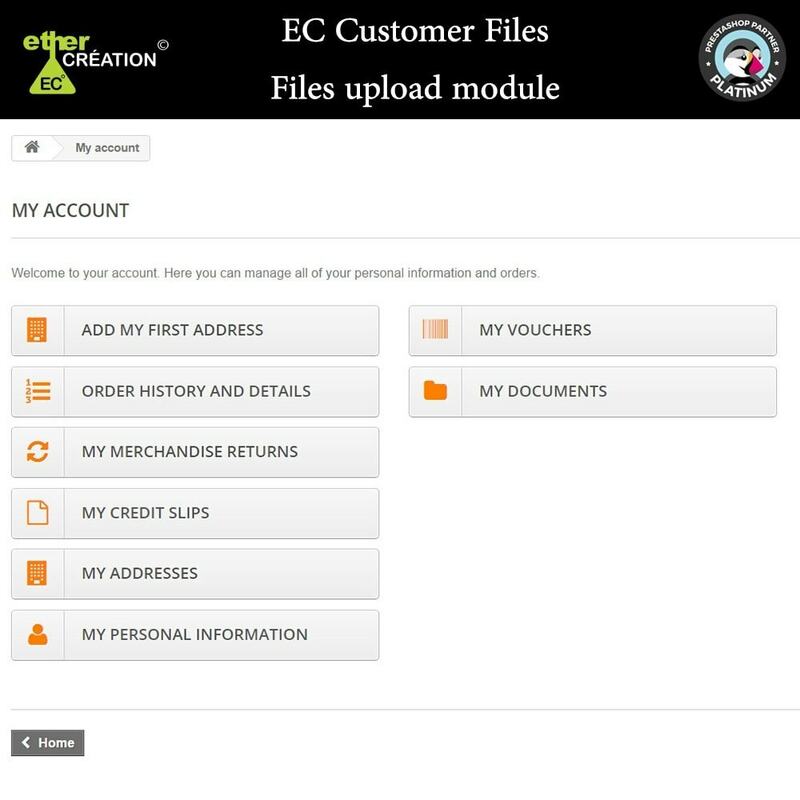 Do you want to provide your customers with documents they will be able to download from their account, distribute files to groups of customers or share a booklet with your VIP membership ? 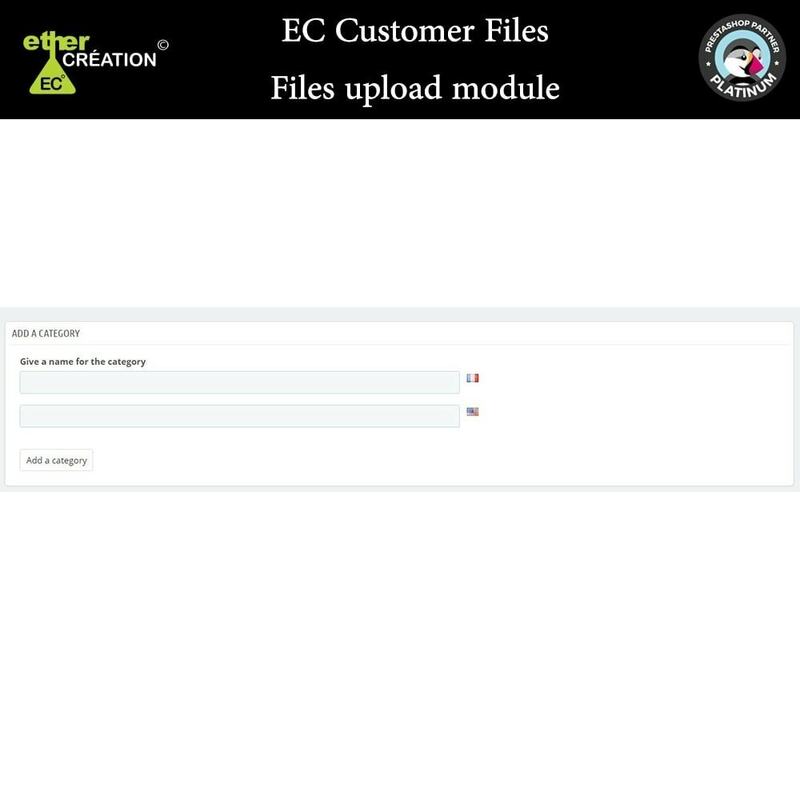 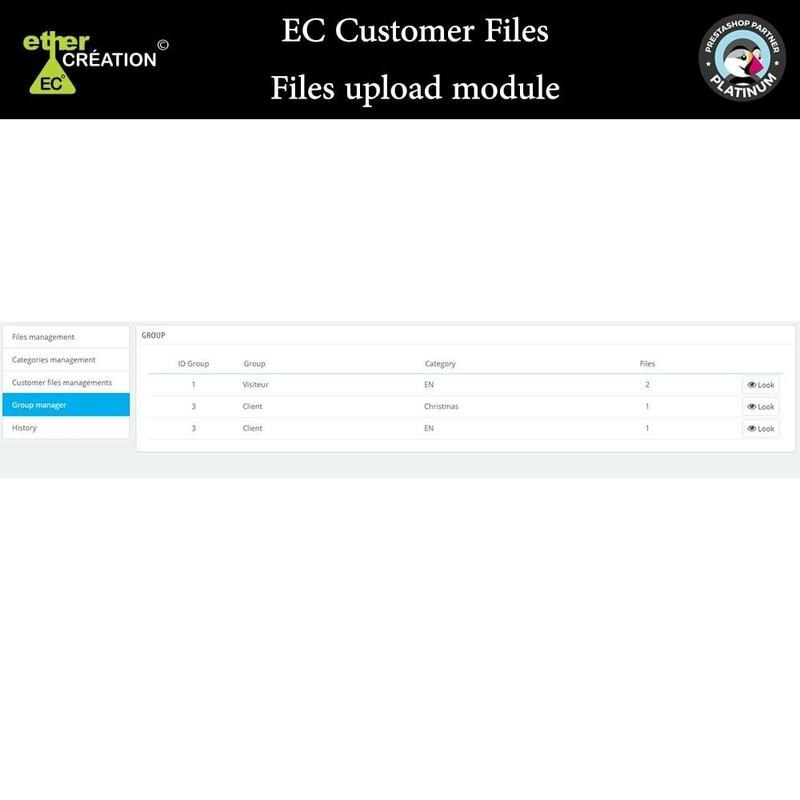 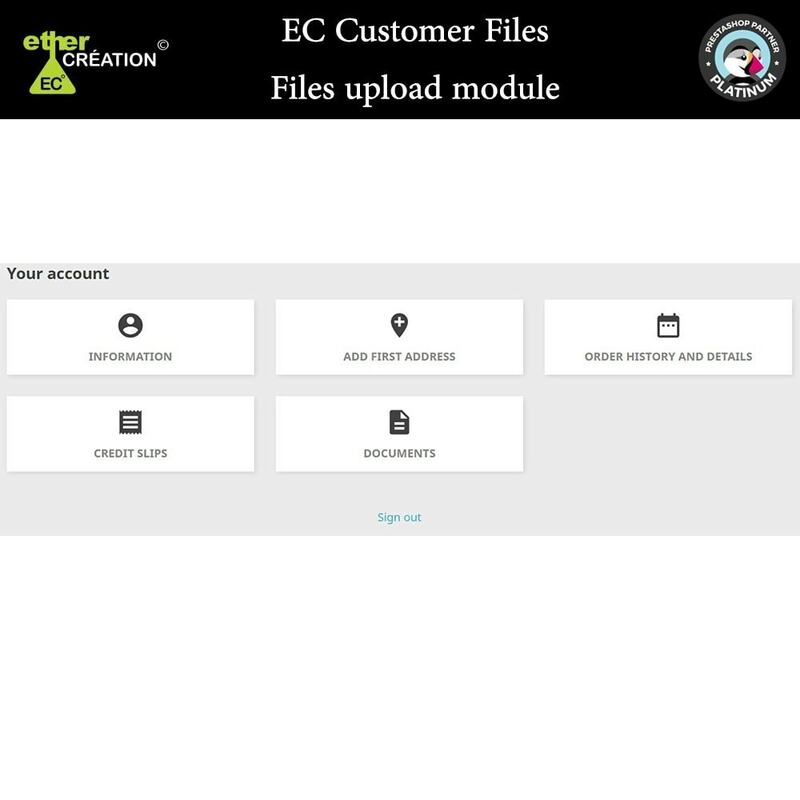 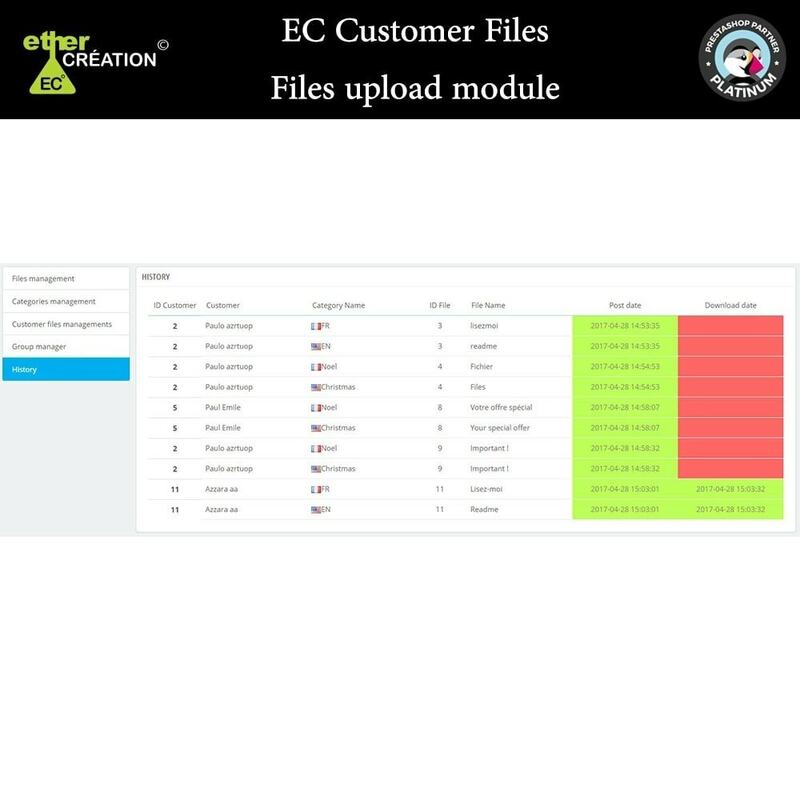 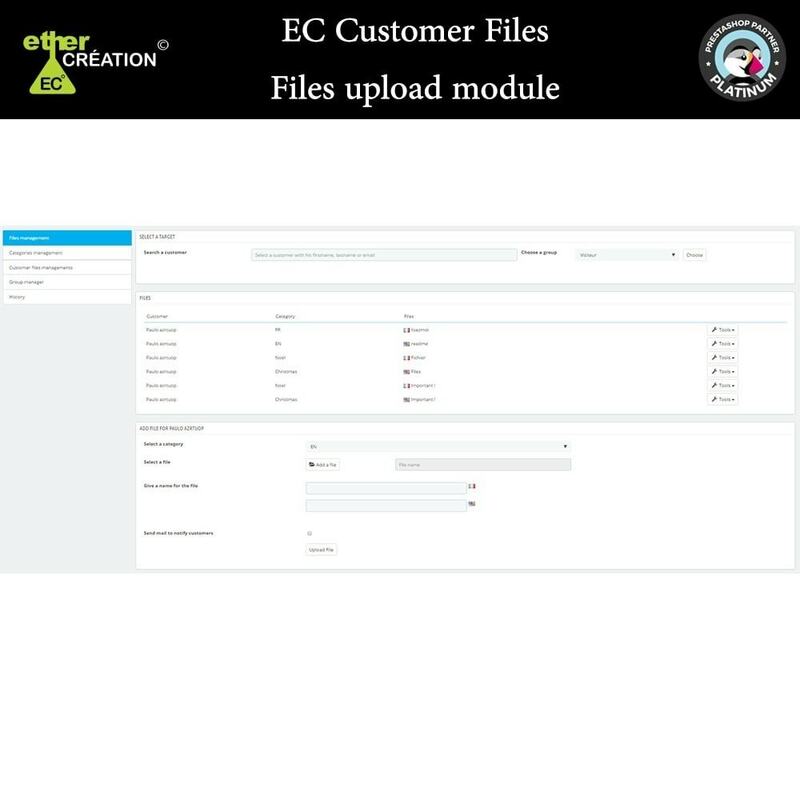 This module allows you to upload files that your customers will find in their space "My Account" in categories you have created for your files. 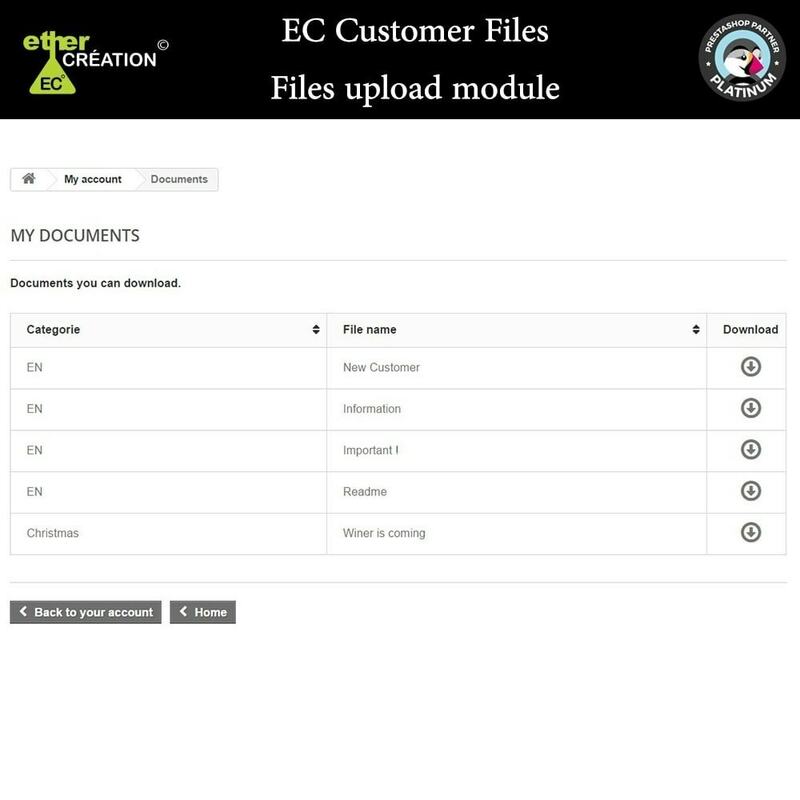 Additionally, you can choose to notify your customers that a new document is available at each upload of a new document. 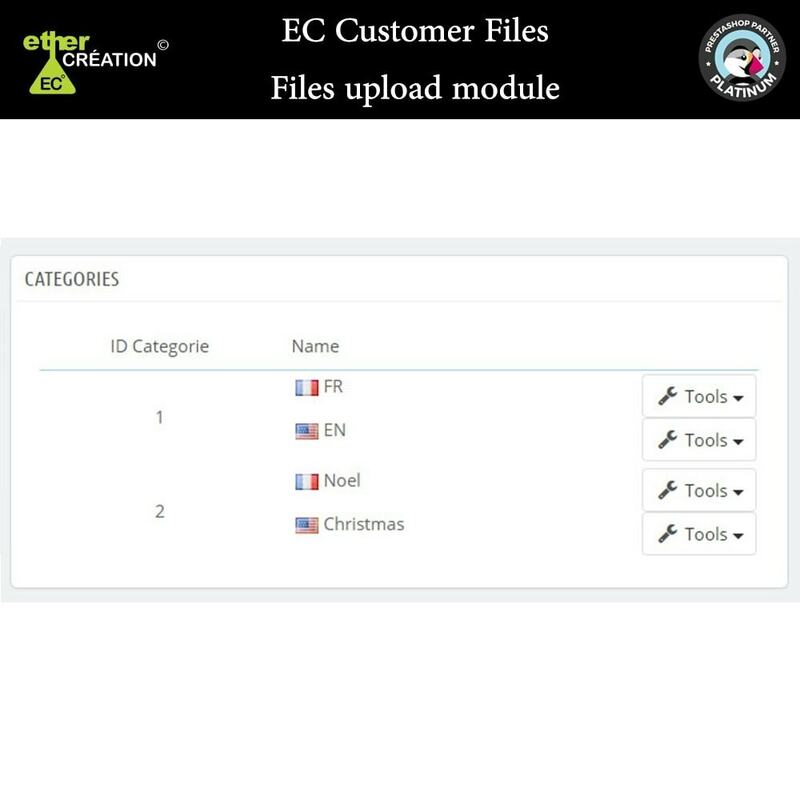 Name your files and categories according to the different languages ​​available in your store. Compatible with all types of documents. Add or remove files for each client distinctly. 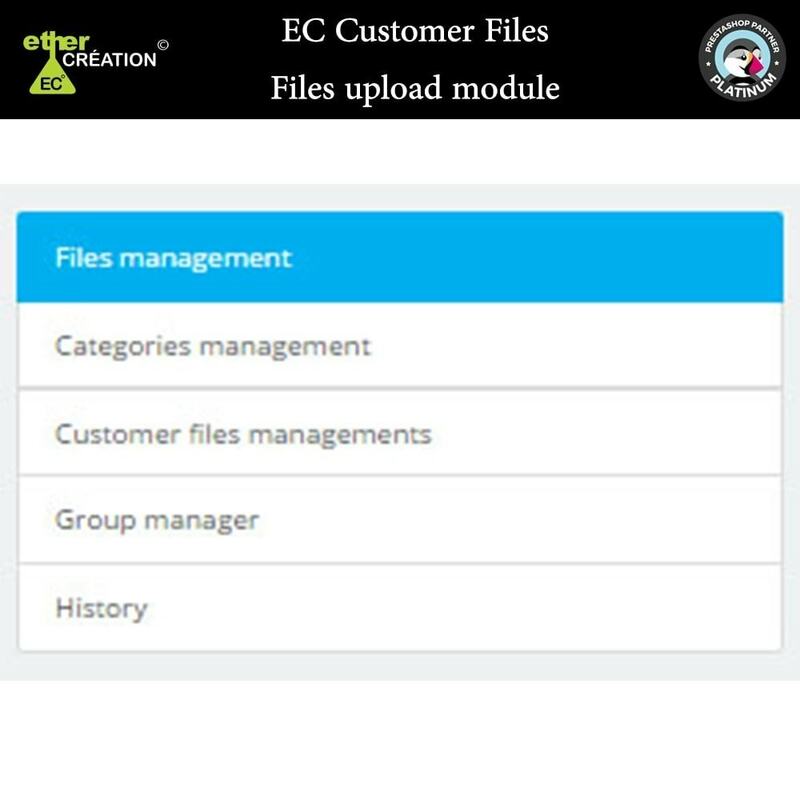 Organize your files into different categories. 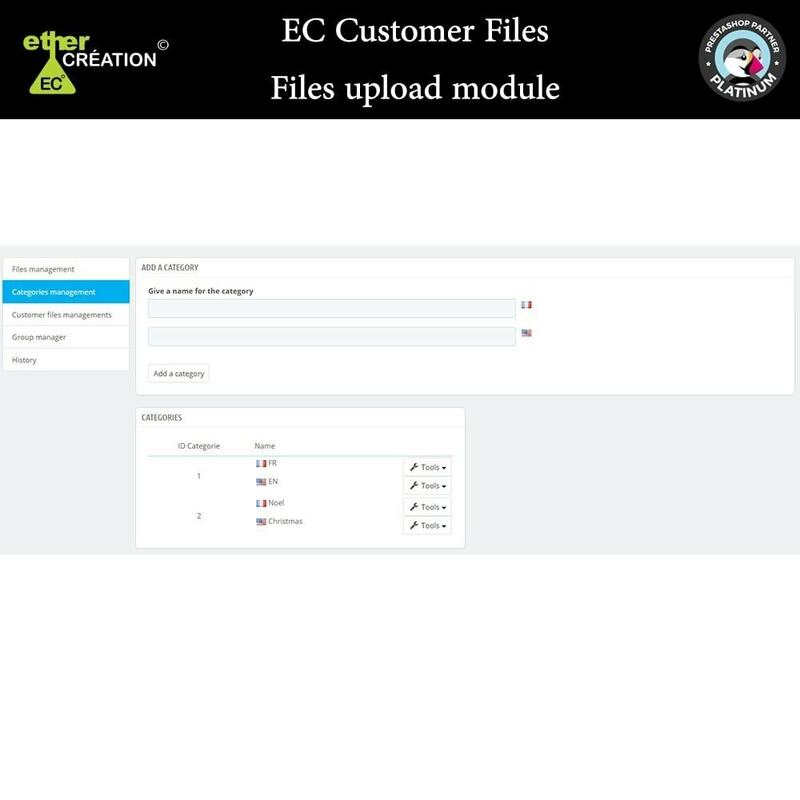 Inform your customers a new file is available.